Tea in the western world revolves largely around black teas. These delicious beverages boast bold flavors that are malty with floral, smoky, and spicy hints. Black tea is a staple beverage in most households, but they can differ immensely depending on where they come from. Here, we'll introduce you to the basics of black tea and explain the differences among the main types. You'll learn about the major black tea producing regions and how each blend offers its own unique flavor characteristics. Discover the health benefits of black tea and how you can incorporate it into your tea drinking experiences. 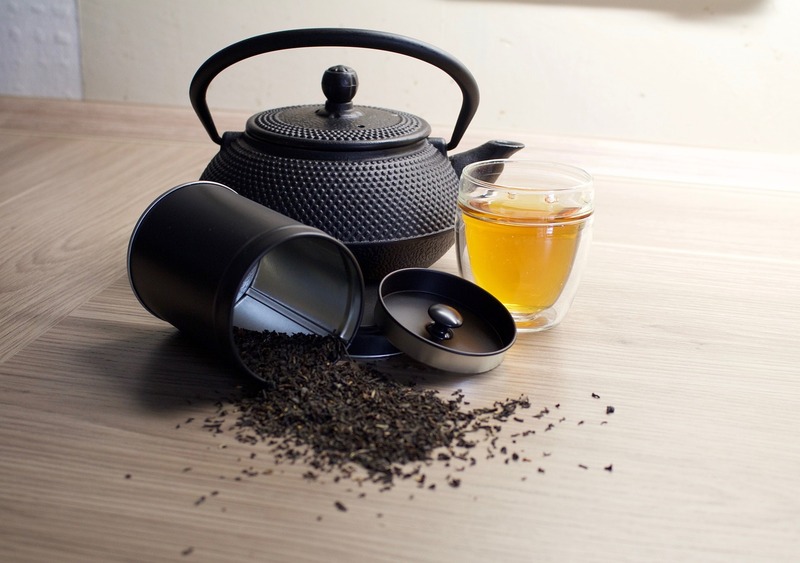 Delve into black teas to find a world full of flavor and culture. Black tea is made using the leaves of the tea plant known by the botanical name Camellia sinensis. The same leaves of the Camellia sinensis plant are used to create all of the true teas including black tea, white tea, pu-erh tea, oolong tea, and green tea. The difference between these teas arises during the production process. Black tea is made from two varieties of the tea plant: C sinensis var. sinensis and C. sinensis var. assamica. The former is the classic Chinese variety that was first discovered thousands of years ago while the latter is native to India and was discovered during British colonial times. Black teas are most commonly cultivated in China, India, Africa, and Sri Lanka. Black teas are typically named after the region in which they are grown. The most common black teas include Darjeeling and Assam from India, Ceylon black tea from Sri Lanka, and Lapsang Souchong from China. What sets black tea apart from other true teas is that its leaves are fully oxidized. The tea leaves are harvested from the tea plant and immediately withered in sunlight. This helps to reduce the moisture content of the tea leaves so they can be dried and oxidized. Once the leaves are limp, they are either rolled or torn to releases enzymes in preparation for oxidation. In the orthodox method of black tea production, the tea leaves are hand-rolled in a time-consuming process that highlights the artisanry of tea masters. This method produces fewer broken leaves and is considered to be of higher quality. The leaves are rolled suing a variety of methods including large bamboo baskets or a combination of rocks and bamboo mats. The non-orthodox method of rolling is known as CTC, which stands for Crush-Tear-Curl. This method is faster than the orthodox method, but also results in more broken leaves and tea dust. Machines are used to cut the tea leaves into smaller pieces, which are typically used for black tea bags. Once the leaves are cut or rolled, the process of oxidation begins. When the tea leaves are rolled or torn, enzymes are exposed to oxygen. This process is the same one that occurs when a cut apple or banana begins to turn brown. The black tea leaves are allowed to fully oxidized, at which point they turn a deep brown or black color. After the black tea leaves reach full oxidation, they are dried and sorted to finish the production process. Some black teas are packaged into tea bags while others are rolled into distinct shapes, cakes, balls, or packaged as loose leaf black teas. More than half of the world's black teas come from India, with Africa, Sri Lanka, and China producing the remainder. Black tea flavor profiles differ depending on where they are grown and how they are produced. Here is a breakdown of the main types of black tea. The Indian province of Assam is the world's largest tea producing region. Early western traders discovered the assamica variety of tea plant and brought it to the attention of British colonialists. The English saw a way to combat China's stranglehold on the tea trade and immediately invested in developing large swaths of tea plantations and establishing reputable tea estates. Assam black teas are grown in rainy, tropical climates. These teas offer bold flavor with malty notes that are similar to chocolate. Darjeeling teas are grown in another Indian region known for high altitude and mountain climate. Darjeeling teas offer a gentler, herbaceous flavor that varies depending on the season in which it is harvested. Darjeeling black teas also serve as the base tea for many masala chai brews. 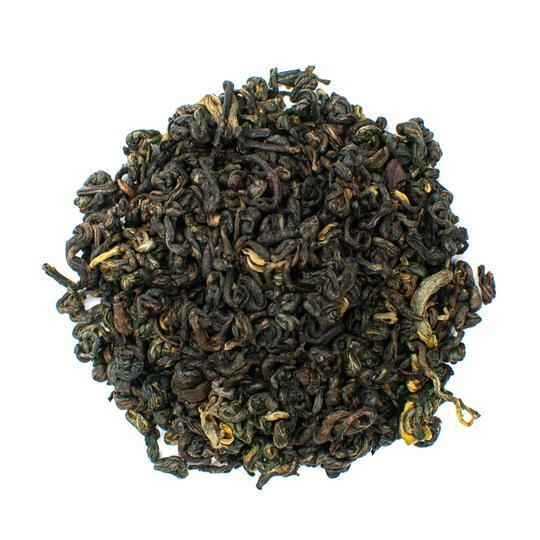 Nepal produces a tea known as Nepali that delivers a flavor profile, which is similar to Darjeeling. Ceylon tea is a Sri Lankan tea named after the nation's former title. Sri Lankan tea gardens are prominent across the country from the coastal plains to the mountainous highlands. Ceylon teas have a wider range of flavors due to the varied landscape in which the teas are grown. Most Ceylon teas have a strong flavor with spice notes and feature a deep black color when brewed. Ceylon teas grown at high altitude are golden brown in color and feature distinct, high-quality flavor. Ceylon teas grown at lower elevations offer stronger flavor and are burgundy brown in color. Kenya didn't begin producing teas on a large scale until the early 1990's. Today, Kenya is responsible for a large portion of black tea bags. The African nation is an industry leader in the CTC black tea production method. These black teas are known for a flavor profile that delivers a bold punch with each sip. Kenyan black teas are assertive and strong, similar to Chinese black teas. 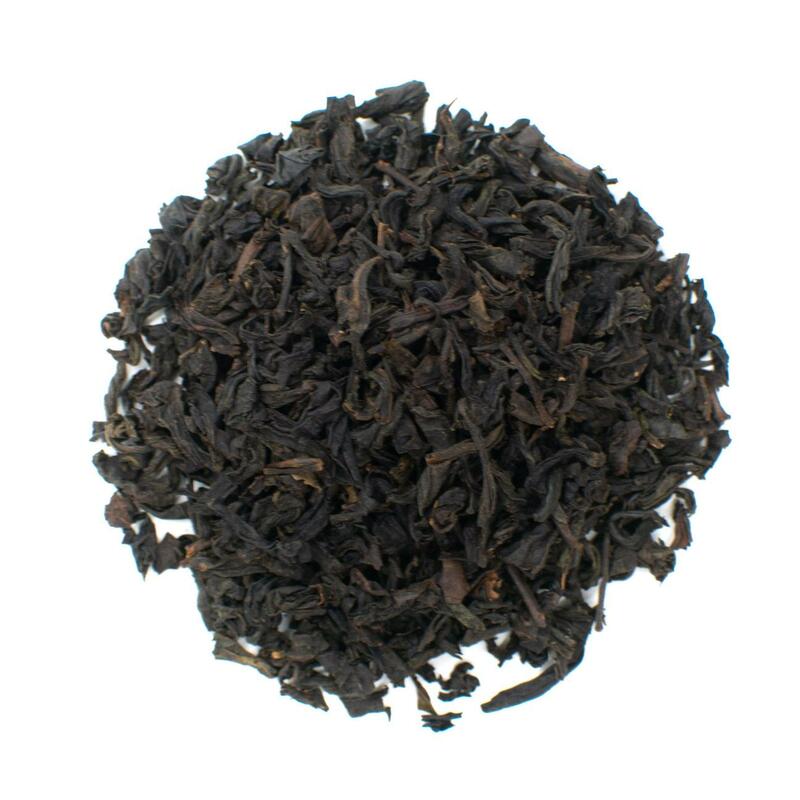 Keemun black teas are grown exclusively in the Anhui Province of China. 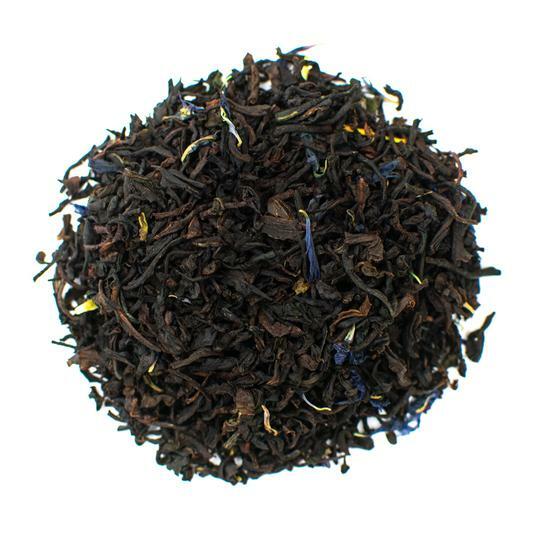 This black tea has fruity undertones that are played up by floral notes and hints of pine. The flavor is often described as similar to unsweetened chocolate. These black teas undergo a slower withering and oxidation process, which results in a more nuanced flavor. Chinese Yunnan teas are also known as Dianhong and are cultivated in the Yunnan Province. What sets this tea apart from other Chinese black teas is that it contains a higher amount of fine leaf buds. These delicate buds are called golden tips and produce a brassy orange color with a sweet flavor. 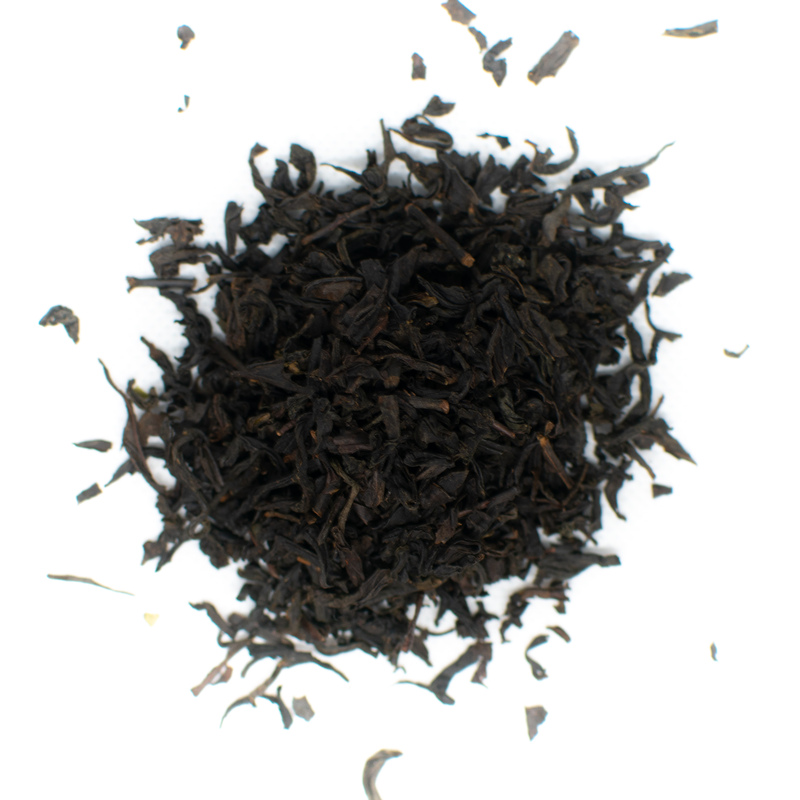 Our Lapsang Souchong Black Tea is the perfect way to discover bold Chinese flavor. Lapsang Souchong teas are often referred to as the whiskey of the tea world and are among the highest quality black teas from China. This tea type is grown in the Wuyi Mountains of the Chinese Fujian Province. Lapsang Souchong is unique in that the leaves aren't dried using steam or pan-firing. Instead, these tea leaves are dried over a burning pine fire. This results in a luxurious smoky flavor that is unrivaled in other black teas. Earl Grey tea is made by infusing black tea leaves with bergamot. Bergamot is a type of orange cultivated mainly in France and Italy. The rinds of this fruit are dried and added to the black tea leaves to produce Earl Grey tea. These teas were developed in the early 1800's to rival the flavors of more expensive Chinese teas. Today, they've carved out their own place in the hearts of tea drinkers across the globe. 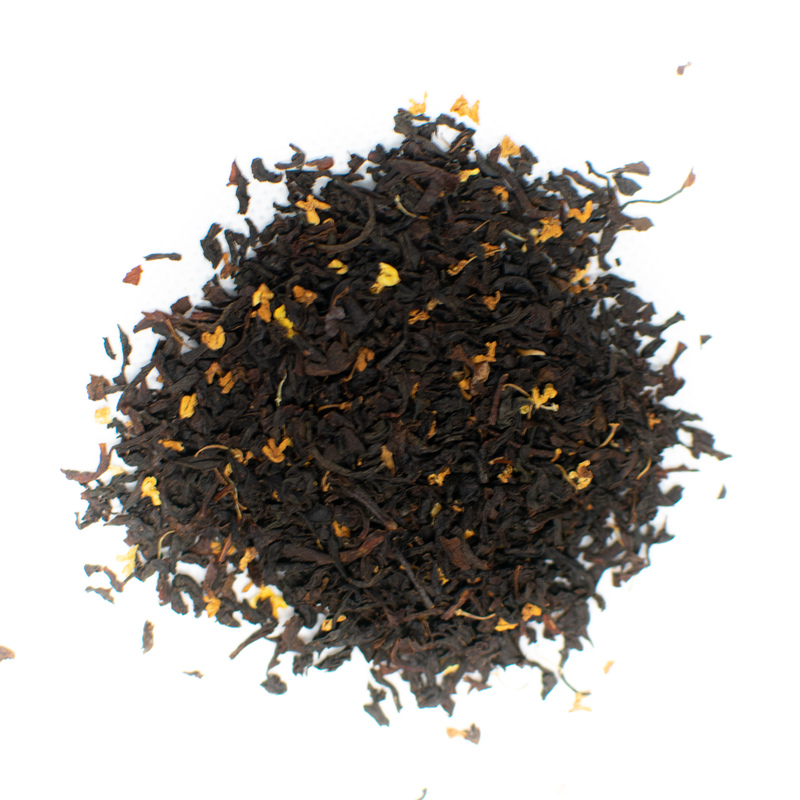 Earl Grey teas are refreshing and feature a tangy taste with malty undertones. 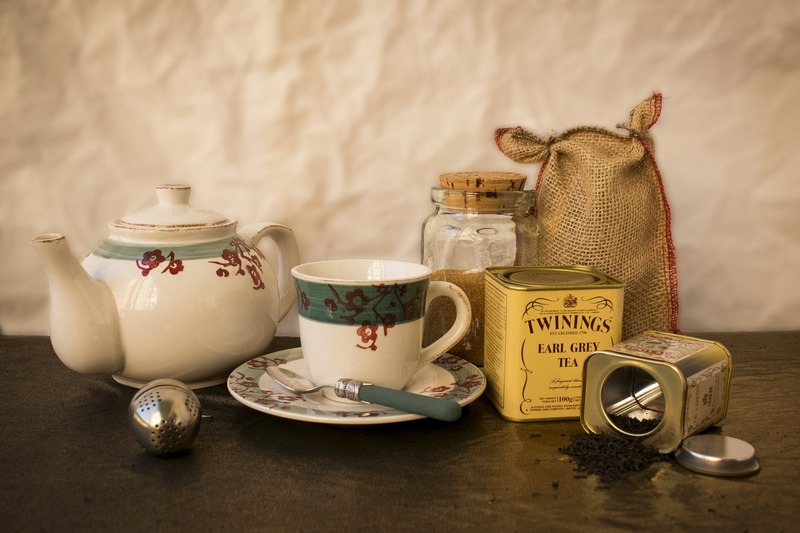 English Breakfast teas and Irish Breakfast teas are made using Assam black tea and infusing it with other ingredients. Breakfast teas are typically consumed with milk and sugar. ‍Breakfast teas are staples of English tea time and are often used by the royal family when hosting diplomatic events or foreign dignitaries. These Assam teas are widely popular in Asia as well as Europe and the Americas. All true teas contain naturally occurring caffeine. Black teas generally have the highest amount of caffeine of the true teas due to its longer oxidation process. The exact caffeine content of black tea is hard to pin down as it really depends on where the tea was grown, how it was produced, and how long it is oxidized. As a rule of thumb, black tea contains 14 to 61 milligrams of caffeine for every 8-ounce cup. For comparison, a cup of coffee contains 95 to 200 milligrams of caffeine. Research shows that drinking black tea is good for you (1). Regular black tea consumption can help you live longer and may boost immunity and increase mental acuity. Here is a quick breakdown of the benefits of black tea (2). 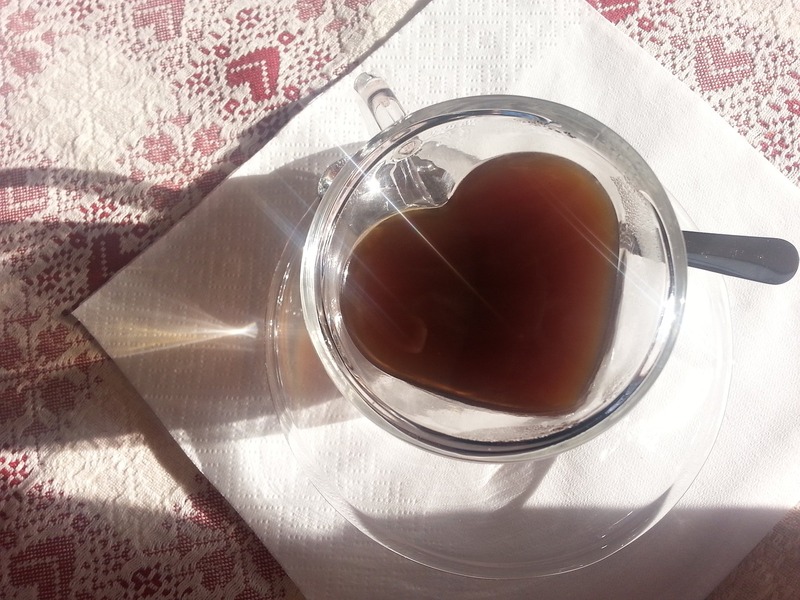 Black tea has been associated with a lower risk of cardiovascular disease and stroke. That's because compounds in this tea help lower high blood pressure by reducing inflammation. The anti-inflammatory properties of tea also lower the risk of clogged arteries that can lead to heart attack (3). Black tea helps to increase weight loss due to its high concentrations of tea catechins that increase body temperature and induce faster fat burning. Compounds in black tea also help the body reduce fat stores and can improve exercise performance. 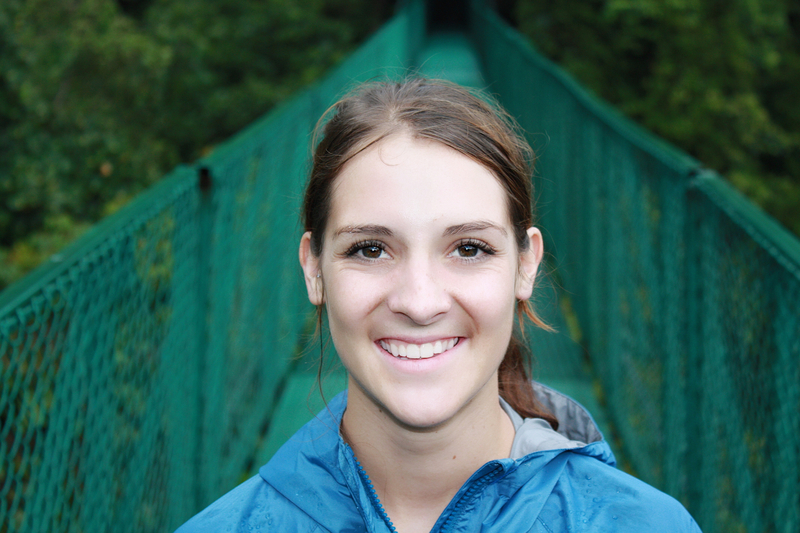 Black tea releases norepinephrine—a chemical that increases endurance during physical activity. 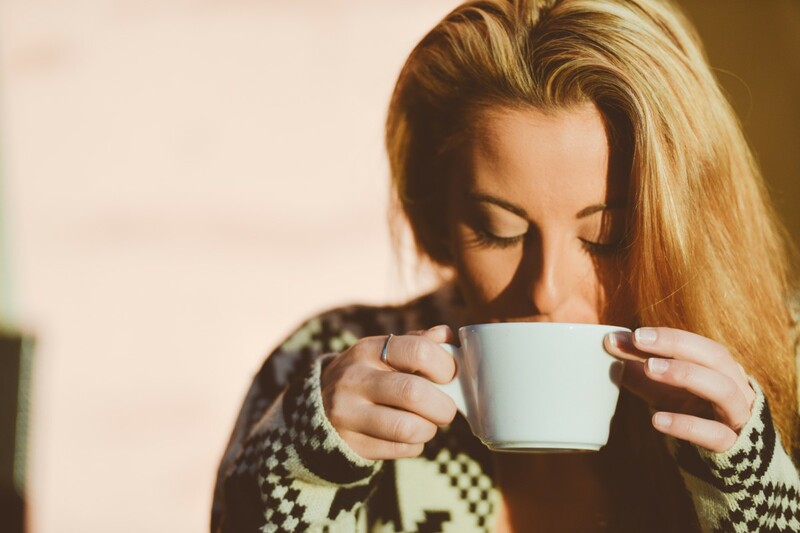 Black tea doesn't have as much caffeine as coffee, but it can still help you jumpstart your day. 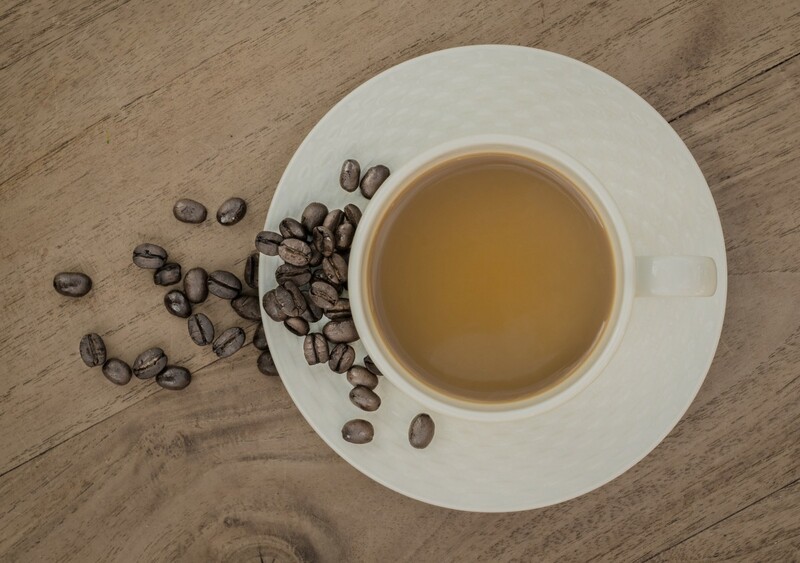 Black tea has an amino acid known as L-theanine, which releases caffeine more smoothly, reducing the jitters associated with coffee. Black tea supports overall health by inhibiting free radical scavenging activity. Free radicals form a key part of the body's version of rust. These compounds interact with cells and cause damage known as oxidative stress. Oxidative stress has been linked to a variety of diseases including neurological problems, premature aging, and cardiovascular disease. Antioxidants in black tea help to eliminate these invaders and protect overall health. Black tea is a delicious beverage that can offer flavors ranging from fruity and floral to strong and malty. The strong flavors of black tea and its moderate caffeine content makes it a good choice for replacing coffee. Black tea can be consumed as iced tea or hot tea, making it a good choice all year long. 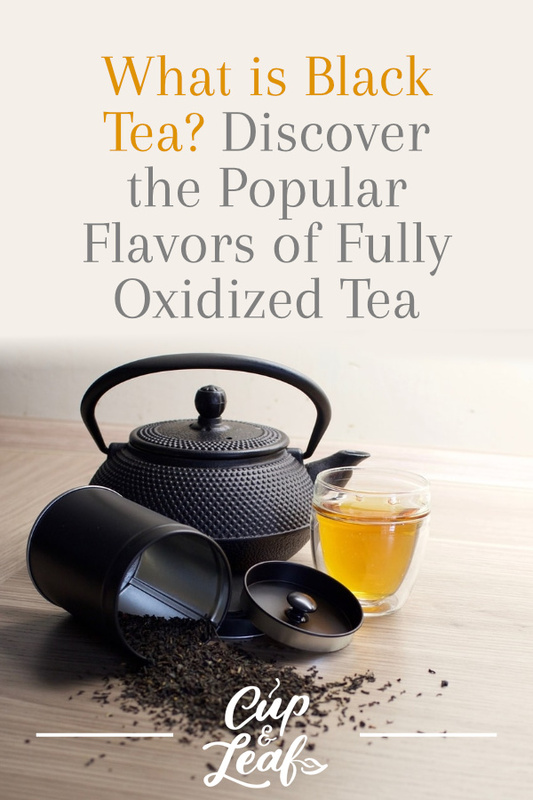 This oxidized tea is bold and rich with a full bodied flavor that is sure to please. Try out different types of black tea from citrusy Earl Grey to malty Lapsang Souchong to find the flavor you love best.